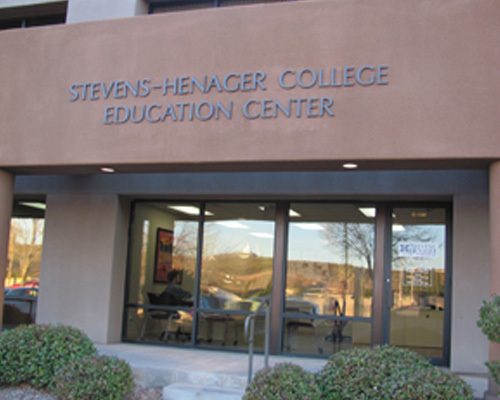 There’s only one place in St. George where you can prepare to earn your GED® test credential at no cost to you, and that’s the St. George campus of Stevens-Henager College. The Good Neighbor Initiative will help you from start to finish with professional instruction, flexible class schedules, and computerized practice tests. So stop by our campus today and get more info about how to get started. 1568 S. River Rd. Suite 200. Brandon Turley has served as the GED® Test Coordinator at Stevens-Henager College for more than five years. He earned his Bachelor’s degree from Southern Virginia University and his Master’s degree in education from the University of Pittsburgh. Brandon has spent the past 14 years teaching in public and higher education. He previously served as head baseball coach at Southern Virginia University and as the alternative education coordinator for a school district. "I left school after seventh grade. I didn’t think I’d be able to pass the GED® test, but [the Good Neighbor Initiative] made it possible."